You can do a lot more with playing cards than you'd think, like turn them into gift boxes, fling them like throwing stars, and make them levitate or disappear. You can even make them recharge your batteries. 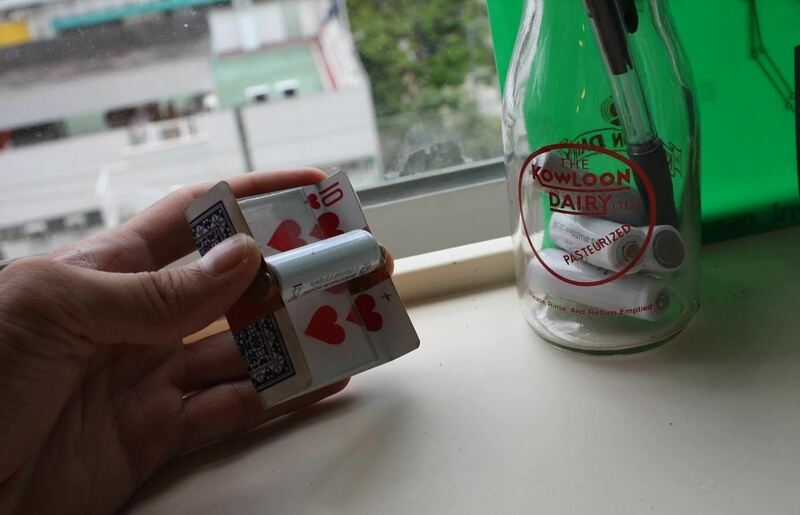 Instructables user Shawn Frayne was sick of having a bunch of dead batteries lying around, so he developed a cheap and easy way to always have a charged one within arm's reach by turning a normal playing card into a super simple solar-powered battery charger for rechargeable AA and AAA batteries. 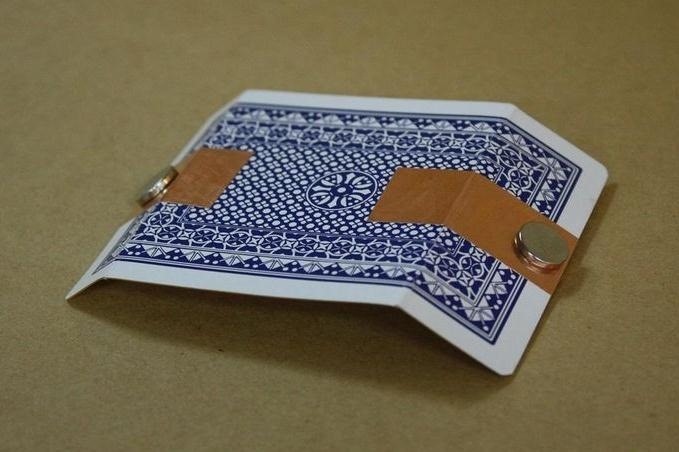 He bent the ends of the card and added copper tape, then put a magnet on each end to connect the battery. 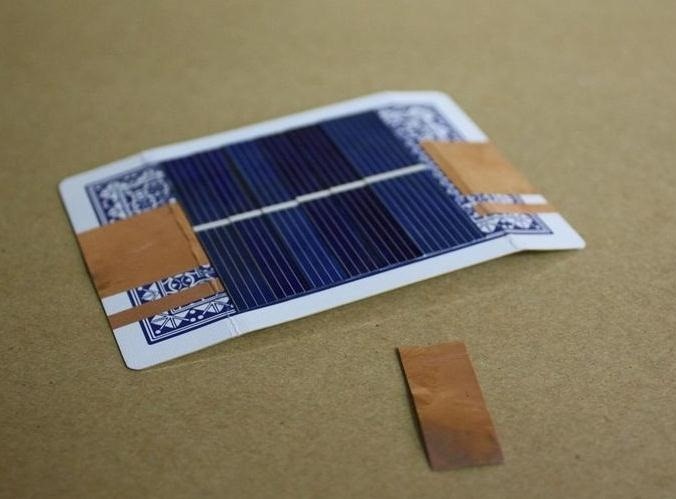 He stacked and superglued solettes (small pieces of solar cells) in series to create a closed current, then coated the top of the card in epoxy. 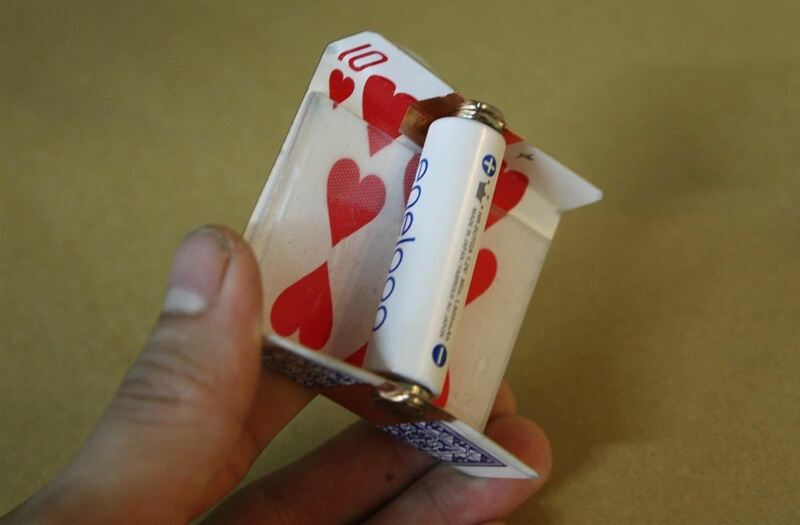 Watch the first half of the video below for details and check out Shawn's full tutorial to start building your own battery-charging playing card. 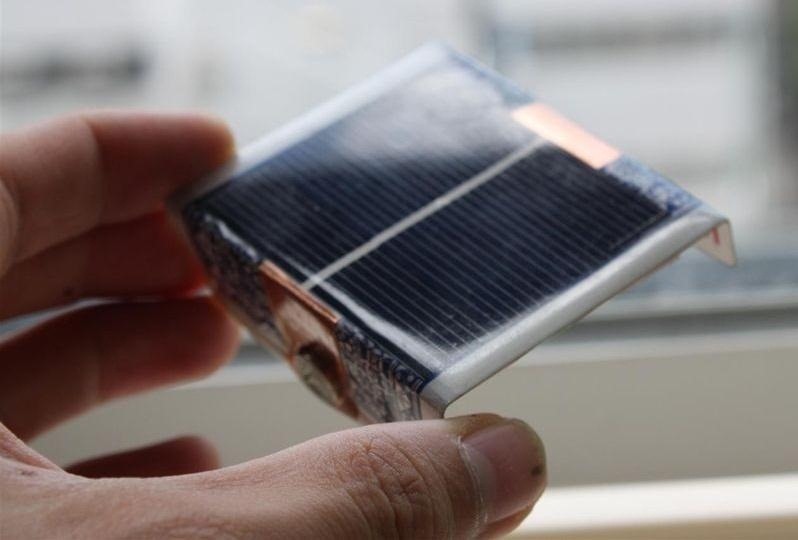 The only problem with this project is that solettes are hard to find, though Shawn and hid buddy Alex Hornstein have a Kickstarter project going to help make miniature solar panel projects easier for the average DIYer. 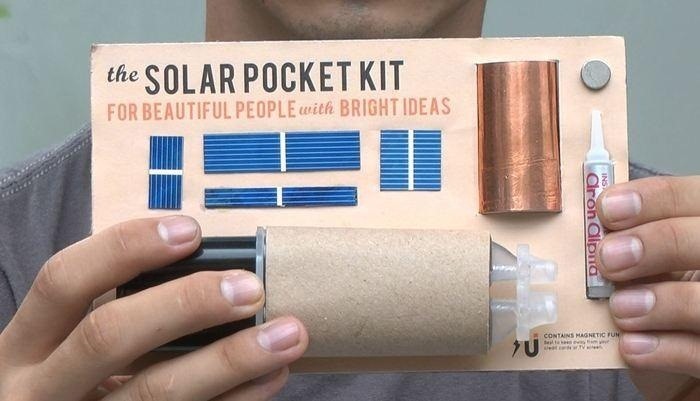 You could also try to make a solar powered USB charger or turn an Altoids tin into a portable solar charger/LED flashlight. If you have some broken solar panels lying around, learn how to recycle them into a AA battery charger. Have you built anything using solar power? Tell us about it in the comments.